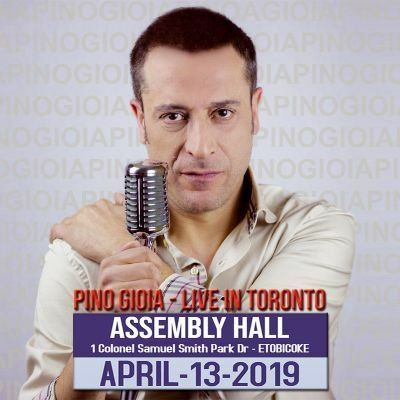 Pino Gioia Live in Totonto at the Assembly Hall, Open Doors at 6:30 pm. RAI Italia will be with us!!! Pino's concerts are a journey from the 60s to today with unique arrangements of legendary songs alternated with successes written by him as "Aspettando la sera", "Il chiodo fisso" and others. All this combined with its endearing voice make the show engaging and fun. Special guests Maria Milano and Teresa Prado.